Traditional Hand Held Mini US Flags from Tuff Flags are 100% made in USA and available in two attractive models including those with Gold Spear Top and those with Plastic Dowel & Gold Spear Top. These flags feature traditional flat cut edges. These hand held flags are great for July 4th parades, rallies, national events and observances. Shop right away. We have the best available prices, quick shipping and much more! 100% customer satisfaction guaranteed! Traditional Hand Held Mini US Flags are great options to display your national pride during parades, rallies, and the Veteran Celebrations. Made of poly-cotton these matte finish flags feature no-fray material that requires no hemming. 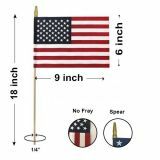 These 100% made in USA mini flags are secured to natural wood staff with simple wood staples. These budget friendly flags from Tuff Flags will make a perfect patriotic gift for mass hand outs. The traditional look enhances the popularity of these hand held flags that will look great indoors and at parades and outdoor events alike. These can be used in lobbies, offices, churches, homes, schools and meeting venues to highlight your national pride. 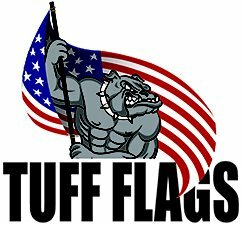 Planning to shop for Traditional Hand Held Mini US Flags? Browse our collection of traditional hand held flags for the best choices at great prices. 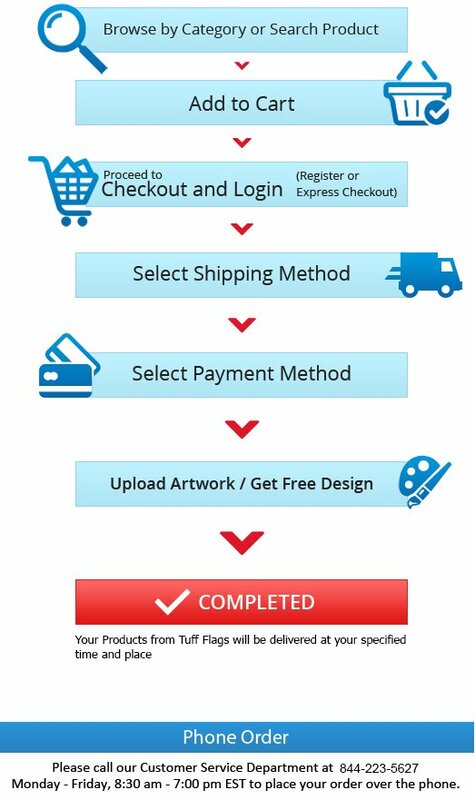 Should you have any questions or need tips, call us at our toll free number (888) 287-3524 or email at customercare@tuffflags.com and we will assist you.